Changes to the Facebook algorithm are a common occurrence, with the company adjusting how posts are promoted and seen by its user base. However, the announcemetn of Mark Zuckerberg that Facebook algorithm will focus on meaningful interactions, resulted in marketers more worrying about their ability to reach a targeted audience in 2019. There is also concern about how the Facebook algorithm change would impact the ability of businesses to work with influencers on the platform. The changes are geared towards showing people more content from friends and family, instead of business posts, so the changes in 2019 are so much different than previous changes. In this case, it is much more important to know the Facebook algorithm change for marketers in 2019. How can marketers work around these changes? Read on to find out! Facebook algorithm change needs time and energy to understand, but high quality video is also an important factor for ranking. 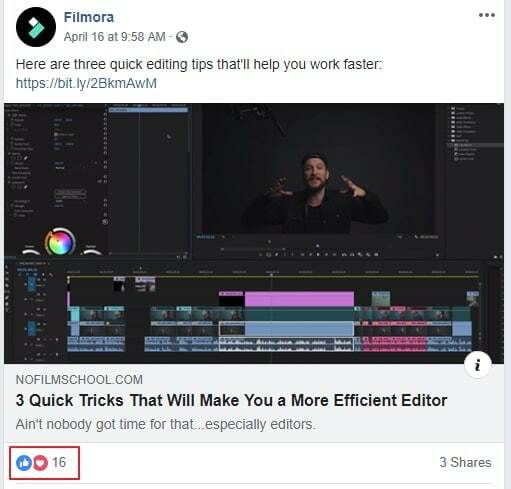 Here we recommend using Filmora9 to make Facebook video to help you work with algorithm change. Filmroa9 is easy to use for beginners. All you need to do is basically dragging and dropping. The royalty free built-in music can make your video more exciting and engaging. Download it now to have a try (free)! Meaningful interactions in 2019 are the first thing marketers need to understand. 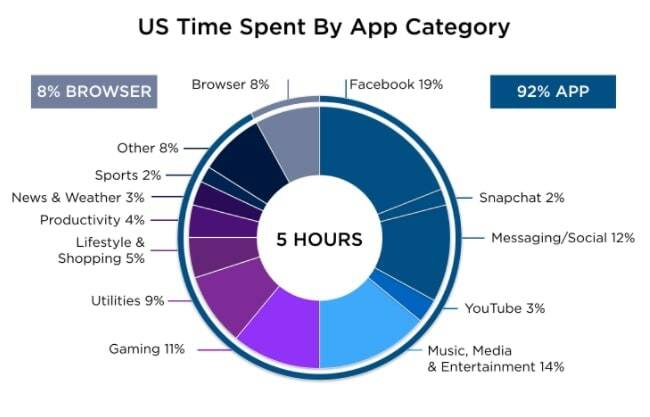 The basic meaning is that Facebook cares more about user spending quality on Facebook, rather than just focus on time. Traditionally, time spent is a key factor to measure Facebook's growth, which results in increasing users' spending time with all efforts. Now, things are changed. Facebook algorithm decides sharing and commenting are the symbols of meaningful interactions, meaning that Facebook wants you interact with friends. Randomly click likes on a photo, article or video are no longer positive signal to algorithm. There once comes a rumor that Facebook will only show 26 friends in feed, which is false. In fact, Facebook algorithm is broken down into four components. There is inventory, signals, predictions and the overall score. Signals are the considerations about content. And it is signals that marketers and businesses must focus on when they are promoting content through the Facebook news feed. Signals include the average time spent on content, when it’s posted, the type of story, how many comments or likes it gets, and how often it is shared on the news feed or through Messenger. 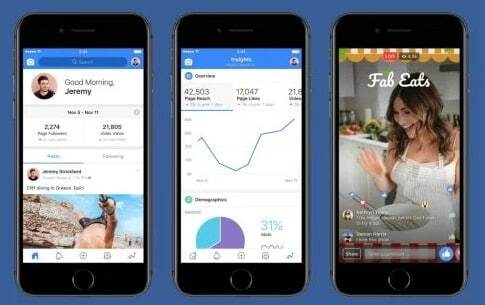 The idea is that Facebook will promote content that gets more engagement, because those are the posts likely to come from family and friends. It is up to marketers to ensure their content is similarly personal and conversation-worthy! Note: if you want to get a higher ranking in Facebook feed, creating square videos is an important method. When people or businesses make posts that no one reacts to - those posts are going to be shown a lot less in a person’s feed. Pages that promote conversation and get a lot of engagement will see a significant rise. Brands must work on content that is getting people to comment and then converse with each other through the comment chain. It can be a focus on timely and relevant topics, which will get people talking immediately! Did you know that when a link is shared on Messenger by Facebook users, it has an impact on how that post appears on the feed? Facebook cares about the interactions that people have through the content posted on the site. And that means a focus on content that is shared through Messenger. Say a company makes a post that many followers enjoy. They like and/or comment on the post. But they also copy the link and share it with friends through Messenger, instead of sharing it publicly on their feed. Such shares are just as important as the public sharing. Many companies would focus on the public aspect with previous content. But now they can focus on getting people to share articles through the private chats on Messenger. People having a reaction to your content is increasingly important. When someone reacts to the comment through the available emojis, the post will be higher up in many followers’ feeds. What also matters is the type of reaction they are having. It is said that when someone clicks on the love icon, it has a slightly better impact through the algorithm as compared to the like icon. Facebook wants to see people having active and unique reactions to the post. Even the Wow, Sad, Angry and Haha icons have a more positive result as compared to the simple likes. Facebook is going one step further when it comes to the engagement triggers on the algorithm. In the past, having the post shared by different users was enough to see it get a positive bump in the algorithm. While those shares are still helpful, the impact is a bit less. What is really needed is a reaction on the shares of your followers. 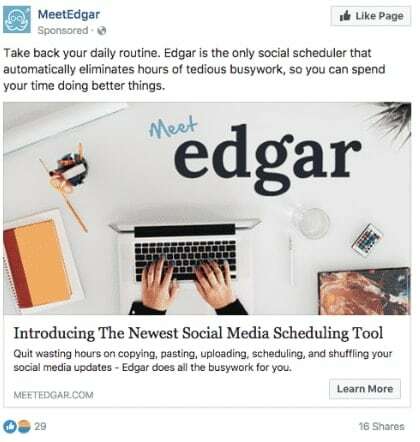 Say your company makes a post and it is shared by 50 people. If there are many reactions to the followers of those 50 people when they shared your post, the original post will see a significant bump through the algorithm. Deciding Facebook ranking can't be only those main factors. In fact, there are also some other factors that we need to know. Below are a list of other Facebook algorithm change. It is a factor that we can understand. Normally, the better your content is, the longer people will stay on your content. However, Facebook doesn't give more information about this factor. When you publish a post and your friend happen to be online, you content tend to be clicked, and then it may rank higher. You need to choose the best time to publish a post. If your post is tradition type like video and text, Facebook didn't give more explanation of these type information. Officially, Facebook more like live video, so why not start living video on Facebook. It is said that Facebook likes the business page are informative. If you don't describe yourself very well, Facebook will think you are not trusted. If you rank higher, you need to build a business page and complete it. The Facebook algorithm changes mean that it will be more challenging to reach people with posts that are made by businesses. Companies will need a very engaged audience if they want to gain traction on the feed through organic means. And that means posts that are shared, commented on, reacted to and more popular with the Facebook audience. Some pages will start posting something irrelevant with their business. But it is always important to build powerful content like Facebook says. Videos tend to attract engagement naturally if the video is good enough. However, have you ever considered live video? 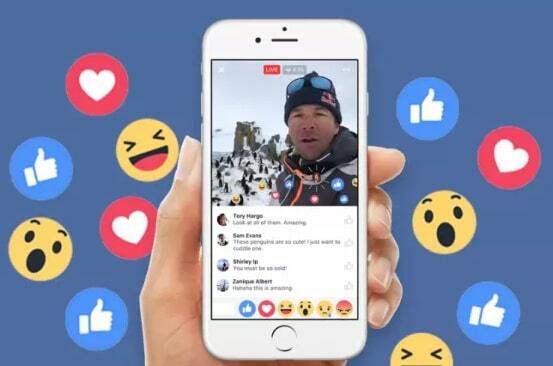 Facebook official said live video gets 6 times interactions than regular videos. It is true. In this Facebook algorithm change, live video matters. More and more business owners try the new field - live video and they did pretty good. If you haven't invest live video, now you should start looking for this new method to boost comments and shares. Just like Facebook did in May 2. It showed Mark's opening keynote on Facebook's latest technology and innovation. Now, this live video has gained more than 1 thousand comments and shares. If you want to make Facebook videos, check Filmora9. It includes various titles/text templates, visual effects and audio to make your marketing video perfect. When people have more conversations on your posts, it means those posts are going to be higher up on the feed. Facebook cares about the interactions people are having with content, as they want them to spend more time on the platform. Companies often use Facebook to put out basic news stories about the company, new products or discounts. While these posts are interesting, they are not exactly conversation starters. It will be up to businesses to ensure they are creating content that can help people have more meaningful conversations on the platform. Sharing news stories that are related to the industry is one way to do this. A company does not always have to promote its own business through Facebook posts. Sharing opinions on changes in an industry that your followers care about is a good way to boost engagement levels, so making engagement opportunities is a great method to rely to Facebook algorithm change. 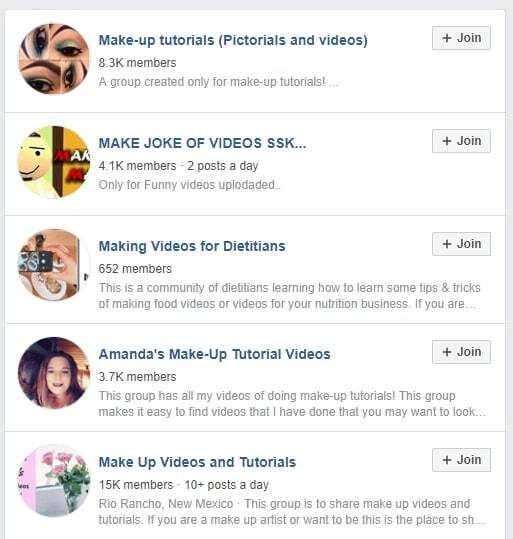 Did you know that around 1 billion people use Facebook Groups? And around 100 million people say that when they are on Facebook, they are primarily using Groups to interact with other people and content. Groups are the perfect way to build a community that is active and interested in specific topics. If a business can create groups that are targeting a community, niche or a segment of the market, it will help them boost engagement levels. Posts that are shared within those groups will see a lot of engagement, as they are filled with users who care about the content. The impact will not only be felt in rising engagement within those groups, but in the way those posts are ranked in the general feed as well. The changes that Facebook has made to its algorithm were done with the company’s future in mind. Facebook wants to make more money and fuel growth. They do not want a user base that is rarely checking the platform or interacting with content. The best advice that we can give to marketers and business owners is to ignore Facebook ads. The company has made changes so that you will turn to ads and simply pay to get your posts to the top of the feed. But that does not have to be the case. You can completely ignore ads and focus on the organic efforts that we have mentioned above. Those will get you the higher levels of engagement that you need to remain relevant with the new algorithm. But you can still make ads by Facebook video editors. It is understandable for companies to feel as though a scary change has taken place on Facebook. The way that posts are prioritized in the feed is different to what it was before. Facebook claims it is all about getting family and friend posts closer to the top of the feed. But like any algorithm change, marketers can react to ensure the content they are promoting is being seen by as many people as possible. Improving engagement and promoting conversation-worthy content can help make that happen. Have you experienced posting a image without any engagement, even likes? If it happens, you should change your posting strategy. Today, Facebook influencer is showing powerful influencing ability. You should look for an influencer who has the same audience you want and are willing to interact with your brand. However, you should be aware of some influencers might have fake fans to get likes. As in this new Facebook algorithm change, likes are not the most essential factor, so you need to distinguish the fake fans and real fans. We hope this guide will help any business or marketer that is looking to use Facebook for promotional purposes in 2019. If you want your Facebook video look better, try to use Filmora9 to edit video easily and quickly. Check this video to know more!